To say the list of openly gay, black filmmakers is a short one would be a rather dramatic understatement. 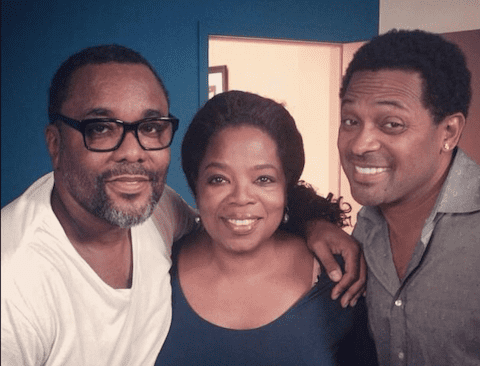 The most prominent, of course, is Lee Daniels. Born in Philadelphia, Christmas Eve, 1959, he told Arsenio Hall that he remembered feeling different at a young age. Daniels persevered through abuse from his father and other children (he told the Telegraph: “From kindergarten to eighth grade [13 years old], I could train myself not to go to the bathroom all day and then just run home at three o’clock, because in the school toilets I’d get beaten up.”) After selling a nursing agency he started, he started working as casting agent and manager, working on films like Purple Rain and managing stars like Wes Bentley. In 2001, his production company, Lee Daniels Entertainment, released Monster’s Ball, earning Halle Berry an Oscar and launching his career into Hollywood superstardom. Daniels’ first time in the director’s chair was for 2006’s Shadowboxer. He’d go on to be known for his dark, sexual stories verging on camp, and Shadowboxer — with Helen Mirren and Cuba Gooding, Jr. playing lovers who are also stepmother and stepson — was certainly no exception. The Paperboy might have been critically panned (it has a 43 percent rating on RottenTomatoes.com), but many gay audiences certainly appreciated just how much of the film Zac Efron spent in his tighty whities. In a departure from his previous work, Daniels’ most recent film, Lee Daniels’ The Butler, is a mainstream biopic starring Forest Whitaker as a butler who served the White House for more than 30 years. He is currently working on a film about Richard Pryor, starring Oprah Winfrey, who also appeared in The Butler. Are you a fan of Daniels’ films?